One of Australia’s most loved group Bliss N Eso will make their long awaited return to the live stage this February and March, playing a run of shows across Adelaide, Melbourne, Sydney and Brisbane. The Dopamine Tour will see the trio take things back to basics, performing in the most intimate rooms they have played in years. September this year saw Bliss N Eso bless fans with ‘Dopamine’, their first new music in over two years, which was premiered with an incredible live performance on the NRL Grand Final Footy Show. The track features Sydney artist Thief and includes some of the most candid verses laid down on a Bliss N Eso track to date. It’s the first single from the group’s hotly anticipated sixth studio album, slated for release in early 2017. Late last week the band delivered the incredible video clip for ‘Dopamine’ via Facebook. Filmed at Melbourne’s Luna Park, the clip is a superb visual expression of the track clearly conveying the narrative and concept of the song. The Dopamine Tour marks two years since their widely praised The Circus Under The Stars Tour which solidified the group as one of the most successful in the country and went on to break the record for the biggest local hip-hop tour Australia had seen with 55,000 fans in attendance across the 16 dates. The tour celebrated Bliss N Eso’s #1 debuting, Platinum-certified album Circus In The Sky featuring the likes of Daniel Merriweather on ‘Can’t Get Rid of This Feeling’, Nas on ‘I Am Somebody’ and Ceekay Jones on ‘My Life’. 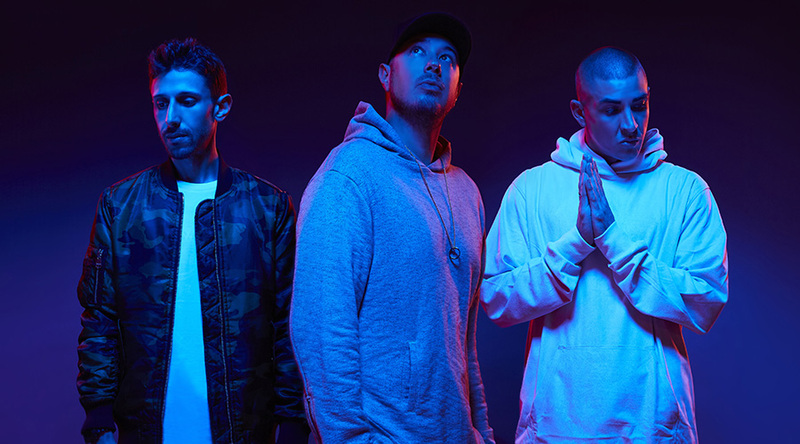 Bliss N Eso’s electrifying return signals an exciting new era for the hip-hop stalwarts and one of evolution for one of the country’s most beloved groups. With a host of #1’s, Platinum and Gold accredited albums and a swag of awards and nominations, we’re thrilled to be welcoming Bliss N Eso’s very own brand of lyrical genius back to airwaves and their high energy live show to stages with their most intimate tour in years. 2017 is Bliss N Eso’s!